Adsense is one of the most common money making programs used by blogs/websites from small to big. It is a click based ad program, where a website gets paid per click it generates. The earnings depend on the revenue generated from each clicks which is more technically called cost-per-click or cpc. The cpc primarily depends on how much the advertiser is paying. If the advertiser is paying more, cpc is high, if not cpc is low. For example 1 click can fetch you upto $5 (cpc = $5) whereas the next 5 clicks may fail to fetch even $0.50 (cpc = $0.10). Such variations keep occuring with most if not all adsense publishers. Many newcomer blogs and websites notice that they receive very little cpc or revenue per click. This makes them wonder if this is all that can be achieved or is there something wrong. 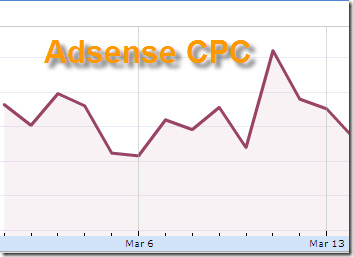 Although not everything is wrong, but as far as adsense cpc is concerned there are known ways to optimise the cpc and also known reasons why cpc can sometimes be lower than what it can be. So in this article we are going to have a look at some of the most common reasons/mistakes that lead to low cpc. It might sometimes happen that adsense is showing ads that are entirely irrelevant to your websites niche or main keywords. In such cases the ads served would have significantly low cpc. 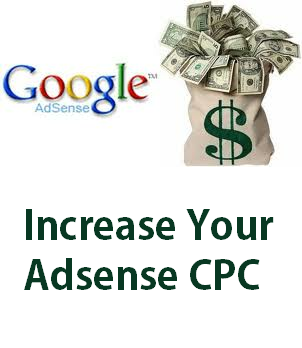 If you have been using adsense for sometime, then you should have noticed that clicks with cpc of 1 cent $0.01 are very common. This can be partially fixed by using adsense section targetting, and increasing the keyword density of the page content. Apart from this another trick is to block the ads from the “Allow & block ads” section in the new adsense interface. The interface allows to block low paying categories , urls and even individual ads and entire adword accounts. Sometimes it so happens that a some fraud/spam kind of ads are coming into your ad slots. In that case the cpc might be improved by blocking those ads. It might so happen that some of that ads that have high impressions on your website are relevant but very low paying. These could be competitor blogs, forums and even facebook fan pages. They just try to buy the maximum traffic at the lowest possible cost. I noticed that some months of the year tend to pay lesser than others event with the same number of clicks generated. Effectively the cpc is lower. This might be seasonal. Advertisers might be willing to pay more in some seasons or so. Advertisers would often target a certain geographical area to show their ads too. It is simply because they want to sell their product or service in only those reasons. It has been observed that ads in the us/canada pay more than those shown in south asia/africa for example. So depending on where you get the majority of your visitors from, will strongly determine the average cpc of your clicks. And this is something you have little control over. It might also happen that the region generating most traffic does not have any advertisements matching your website. Your website is getting very little traffic like 100 or 200 visitors/pageviews a day. Although it is not known for sure but many users claim (at forums, blogs etc) that google might force a lower cpc if the visits are too low or ctr gets too high. The adsense engine does this by validating agains lots of factors. So if you are a dedicated writer and are aiming at higher traffic then this issue should not be something worth considering. Over time more and more blogs and websites are coming up. More and more people are trying to earn from online content. So advertisers are having to pay less to compete since they have a wider spectrum for their ads to display. This has a cumulative effect on earnings throughout. So go ahead and optimise your “Ad Sense” to improve cpc.